Each steel sword will be made to order and is expected for delivery in July 2019. Cosplay Version Swords are still available. PLEASE NOTE: All International Customers are responsible for knowing what products are restricted by customs in their country. If items are removed or destroyed by customs, it is not the responsibility of Weta Workshop to cover the cost of these items. If products are returned to Weta Workshop, it is the responsibility of the customer to pay the return shipping fees. Earn 24.95 Weta Dollars! What's this? With the aid of astonishing visual effects from Weta Digital, visionary filmmakers James Cameron & Robert Rodriguez create a groundbreaking new heroine in Alita: Battle Angel - an action-packed story of hope, love, and empowerment. To celebrate the film’s release, Weta Workshop is proud to unleash its arsenal of prop replica weapons and pop culture collectibles for Alita fans across the globe. 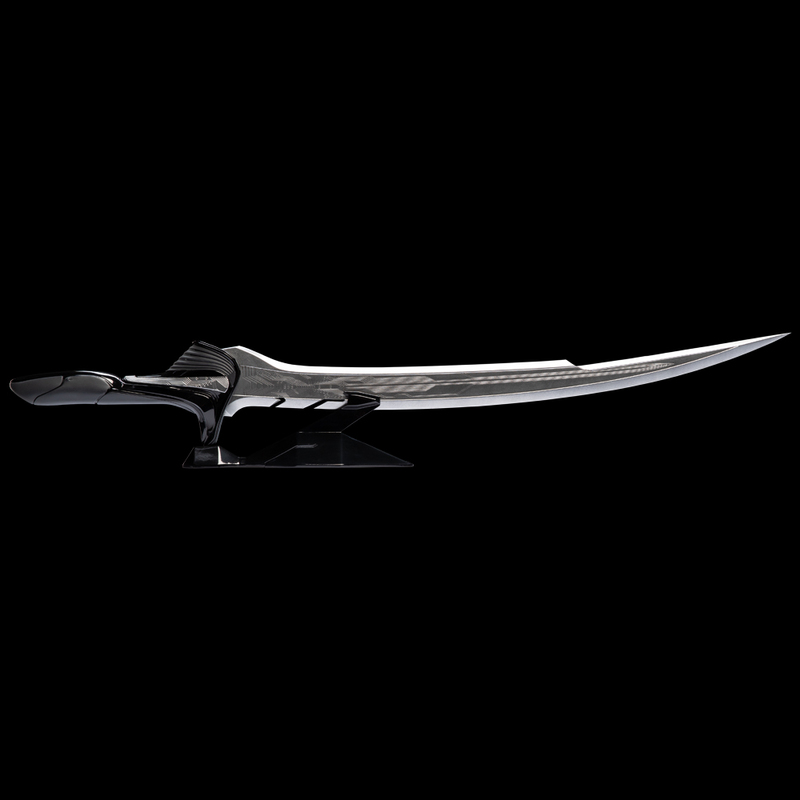 Forged before the Fall through the lost arts of URM (United Republic of Mars) metallurgy, the Damascus Blade is strong, resilient and capable of destroying corrupt forces. Much like its bearer, Alita. Collect yours in stainless steel. The streets of Iron City can be a treacherous place for a young cyborg with a forgotten past. But Alita is more fortunate than most, with a unique fighting ability and an immensely powerful blade to deter her foes. Pray you do not go to battle against this Hunter-Warrior. Crafted from the designs of Weta Digital – the visual effects team behind Alita: Battle Angel - this 1:1 scale prop is an exact replica of the weapon wielded on screen. 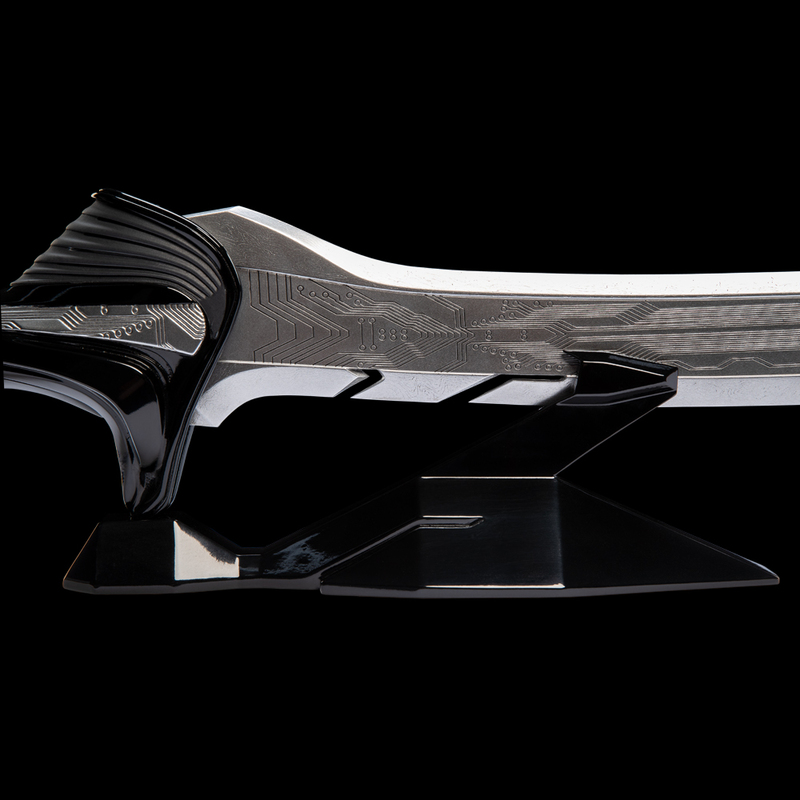 The curvaceous blade features the distinctive techno-detailed pattern of the lost URM Technarchy. Available for a limited time only, order your Damascus Blade in stainless steel and display with pride of place on its brutalist style stand. Purchases were strictly available from 18 September - 31 October 2018 (PST). Each steel sword will be made to order. Display stand suitable for shelves or a mantlepiece. 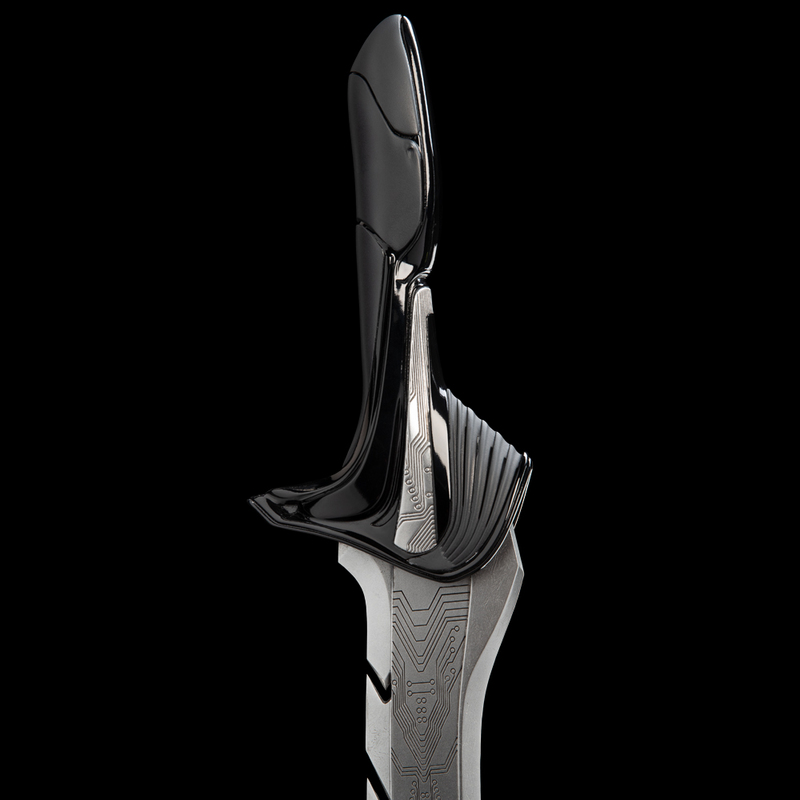 Please note: The stainless steel Damascus Blade is a non-functional prop replica, intended for display purposes only. 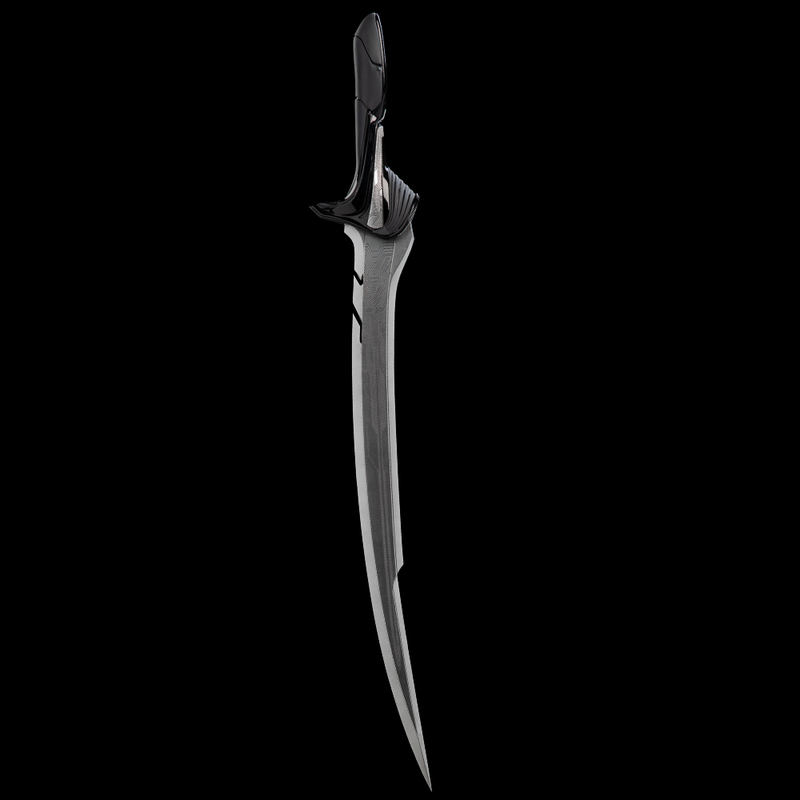 If you wish to use the Damascus Blade as a costume accessory or prop, please order the cosplay version. All images are of a pre-production prototype. Final product may vary. Alita: Battle Angel is set in the 26th century, 300 years after the Great Wars when all but one of the great Sky Cities fell and technology was lost. Alita, a cyborg, has no memory of who she is and where she came from. As the movie unfolds, Alita’s journey becomes one of young love, self-discovery and realizing that even in the face of seemingly insurmountable odds, one person can make a difference.